Supportive and ultralight, durable and incredibly comfortable. 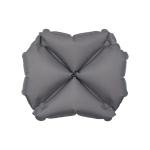 Inflatable self centring pillow cradles head! Our Ultralight and exceptionally comfortable inflatable pillow! The Pillow X Recon weighs just 63.8 grams and packs to the size of a lighter. 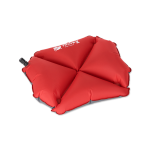 Firstly, the advanced, inflatable self centring pillow positions and cradles your head for support with its unique X design. This helps provides stable comfort and an efficient night’s sleep. Secondly, i’s coloured for tactical and military applications. 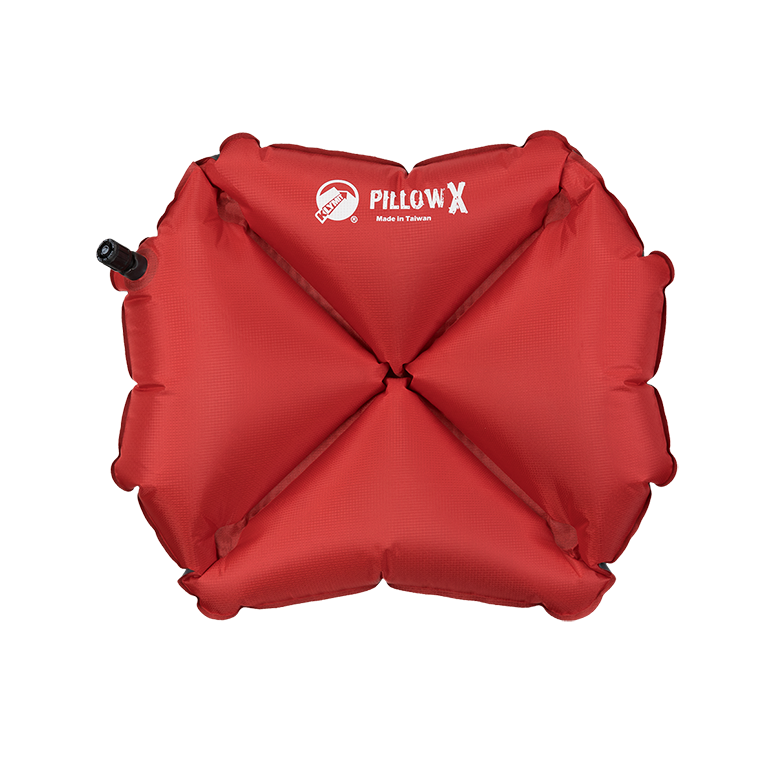 And finally, the Pillow X is easy to inflate. 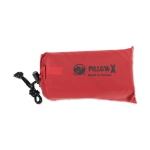 This highly packable pillow delivers mission critical nighttime performance. And don’t forget, simply add or release air to raise or lower pillow height and adjust firmness for customised comfort! 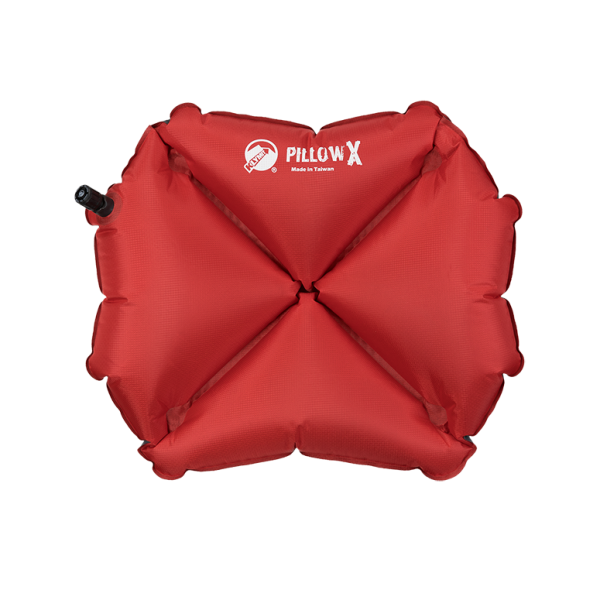 Self Centering X Design: The thoughtfully designed weld pattern helps center and stabilize your head to maintain comfortable contact with the pillow’s surface. Adjustable Height and Pressure: Simply add or release air to raise or lower pillow height and adjust firmness for customized comfort. Sleeping Bag Compatible: Intelligently designed to fit inside a mummy bag’s hood for secure comfort. Storage Bag: A 4.5” x 2.5” x 1” storage bag, sized specifically for your pillow, is included to maintain compactness and provide protection while travelling. Ultralight Material: Used on the top of the pillow, the soft 30D polyester material sheds grams while maintaining appropriate durability.